Be mindful this week of your thoughts! Our thoughts form the basis of our creations, as this King well knows. He is the master of marshaling his powers of intention and manifestation. 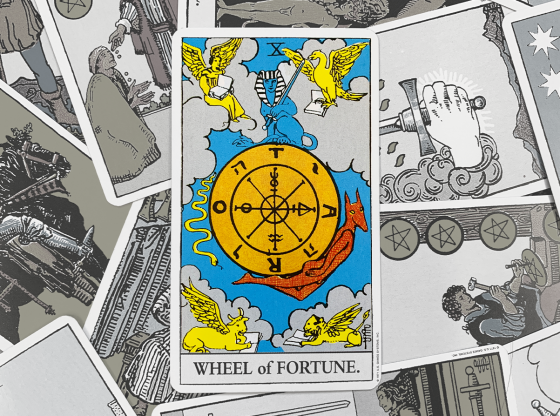 You may have opportunities this week to show your wisdom and the clarity of your perceptions. Or, you may need the razor-sharp sword of discernment to cut through a fog of worry or indecision. Crowley (of the Thoth Tarot) calls this King the “fiery part of Air” to denote the active, forceful aspect of the mind. 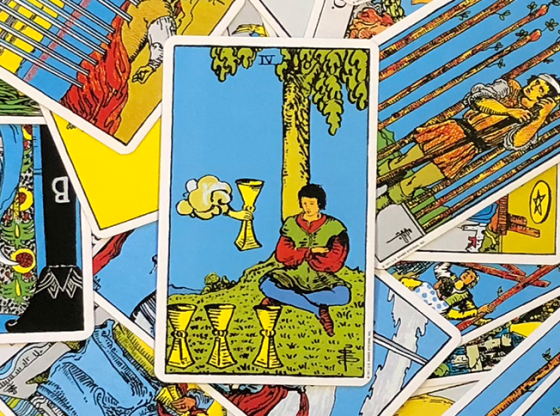 The King of Swords doesn’t wait to be asked what he thinks—he is a full participant in the discussion. It may be that you will be asked for advice or to take control of a project or group based on your clear and intelligent thinking. You will be asked to manifest the qualities of the King this week, so be mindful of the shadow of this card: irritability, insensitivity, and speaking before you think. The Death card is thematically perfect for October. The last stalks in the garden begin to die away, and much of the globe is preparing to settle into the waning days and cooler temperatures of winter. Halloween, or Samhain, is felt by some to be the true ending of the year as the veil becomes thin between our world and the realm of spirits. 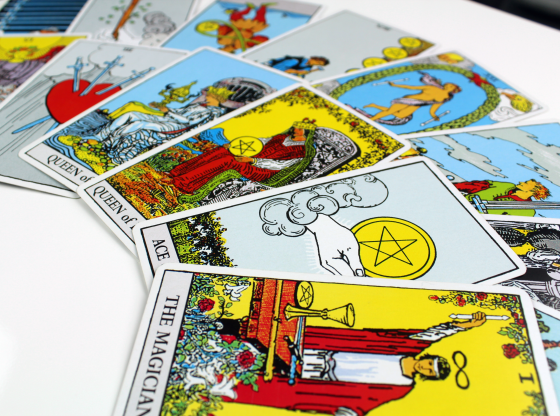 But the Death card is usually not indicative of an actual death but rather the need for something old to die in order for something new be born. This week be aware of what needs to be let go of within you. The reversal of this card indicates that we may all be feeling this energy more internally. Are there feelings, limiting beliefs, or relationships that need to be released? Have you been striving after a goal that isn’t really in your best interests? Are you hanging onto a grudge, or is there a call for forgiveness on some level? 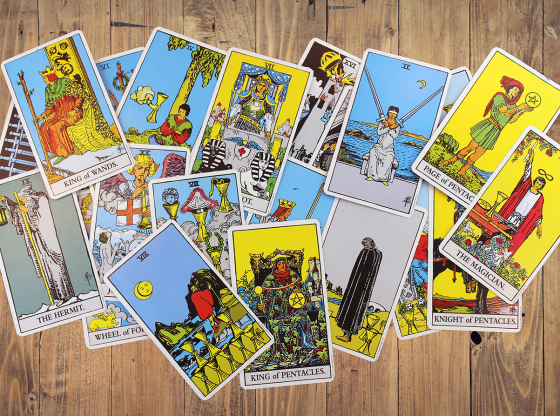 The Death card asks us to take a look deep inside and let go of what no longer serves us so that we can let in the energy of something new. 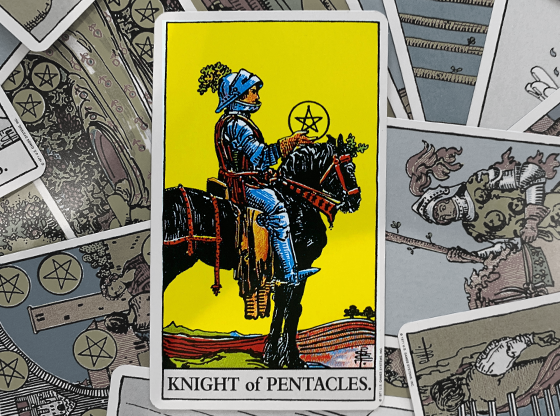 A perfect follow-up from the Death card, this week you may be asked to occupy a period of uncertainty while you wait to see how things develop. If you let go of feelings or some other situation last week, don’t expect a result this week. Or, you may find your world in temporary disarray. 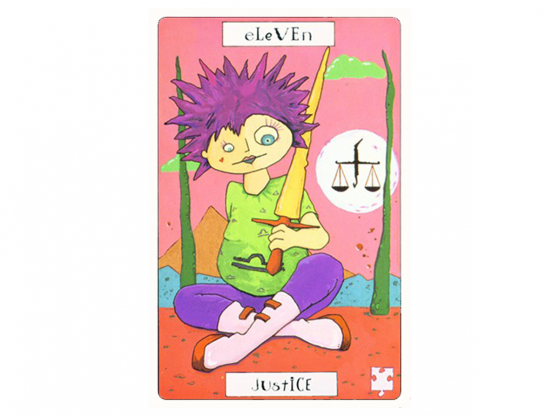 The Hanged Man is in a state of not knowing up from down or of reality seeming wonky and unclear. This card can imply a certain level of chaos in which a waiting-to-see attitude is the most useful. You may find others resisting whatever internal changes you are trying to manifest and kicking up some dust. Or, if you’ve let go of a long-cherished belief, you may find you don’t really know what to replace it with. 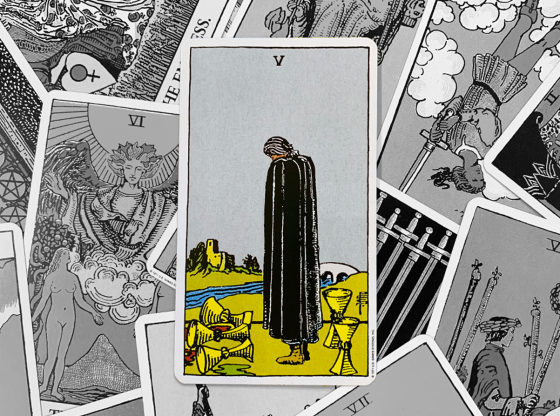 In my deck, the Hanged Man is surrounded by a desolate landscape—an indicator that sometimes we have to be okay with emptiness for a time. 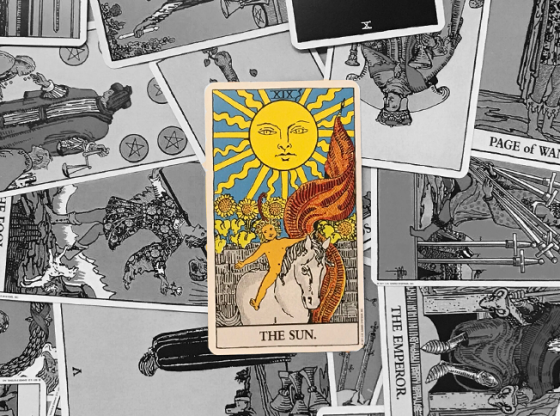 In the Major Arcana, the Hanged Man precedes the Death card, and so it may be that you will be asked to revisit themes of letting go again. Sometimes the stillness is before the storm and sometimes after. Returning to the suit of Air for this last week of October, you may find that it’s just best to take time to reflect on the preceding weeks and rest. Allow yourself some mental space and seek out situations and people that help you create harmony. You may find yourself needing more time alone, whether it be for brisk walks through the leaves or for quiet meditation with a cup of tea by the fire. Though Halloween calls many out for parties or events with the kids, be sure that you take time this week to give all your worries and distractions a rest. 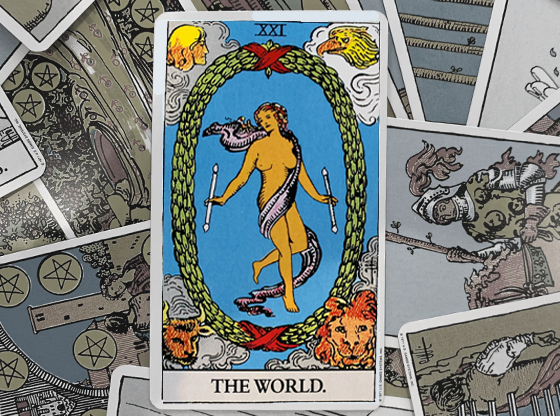 The Four of Swords is one of the few cards in this suit that asks us to take time off from thinking. Boost immunity with good food and plenty of sleep, and take it easy on the Halloween treats. 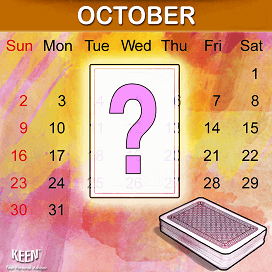 As a whole, October promises to be a month of endings and beginnings, which will call for both mental acuity and rest. Use your Kingly powers to discern what needs to die, how to be “in the gap,” and to take the alone time you need. 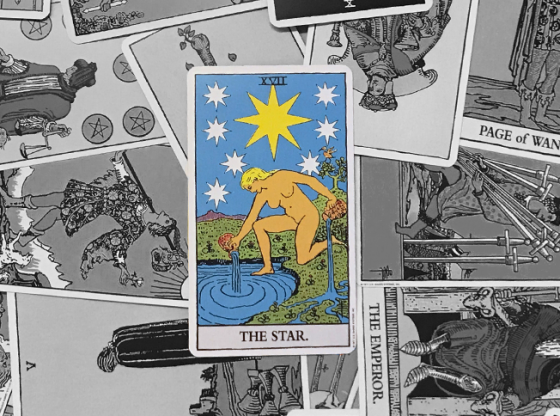 It may be time for major life lessons, as signified by the presence of the Major Arcana cards. 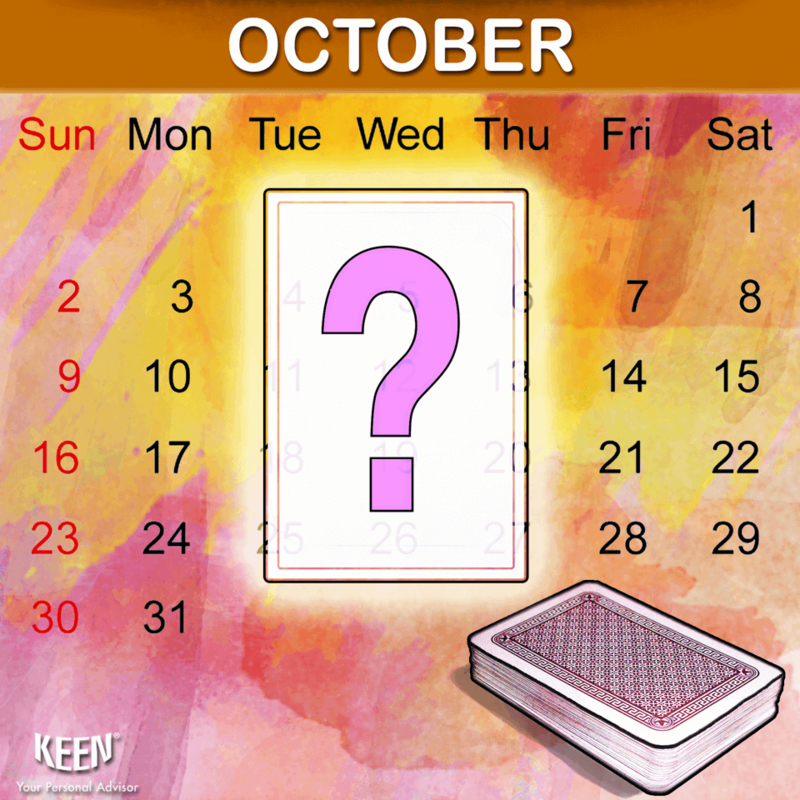 It can be a time of transformation, but likely you won’t see the whole picture or the results this month. A little trust will be in order—and letting go. Are you challenged to release an old problem or circumstance? Having a hard time seeing what you want to create next? Give yourself some support as suggested by the Four of Swords. Call an advisor on Keen today.